Thank you to all of you who have already registered for The 7th Annual Run for the Gold 5K Run/Walk sponsored by The Angry Orchard & Copperfield’s Pub. The St. Pat’s Ramble is an affiliate of The Community Foundation of Orange & Sullivan. We are looking forward to a great event! Below you will find some useful information to make your race day the BEST day! You may pick up your race packet/bib at The Montgomery Village Hall (133 Clinton St., Montgomery) from 5:30-7:30pm. You can also register for the pre-registered rate. You can have someone else pick up your race gear. Your race bibs will be in your Race Bag along with Safety pins. Your bib should be attached to the front of your shirt for the race. Saturday, March 23, 2019 — RACE DAY!!! Check in and registration will take place at The Montgomery Village Hall between 8:15 and 9:45am. If you pick up your race bag on Friday, there is no need to check in. Your timing tag is located on the back of your race bib. 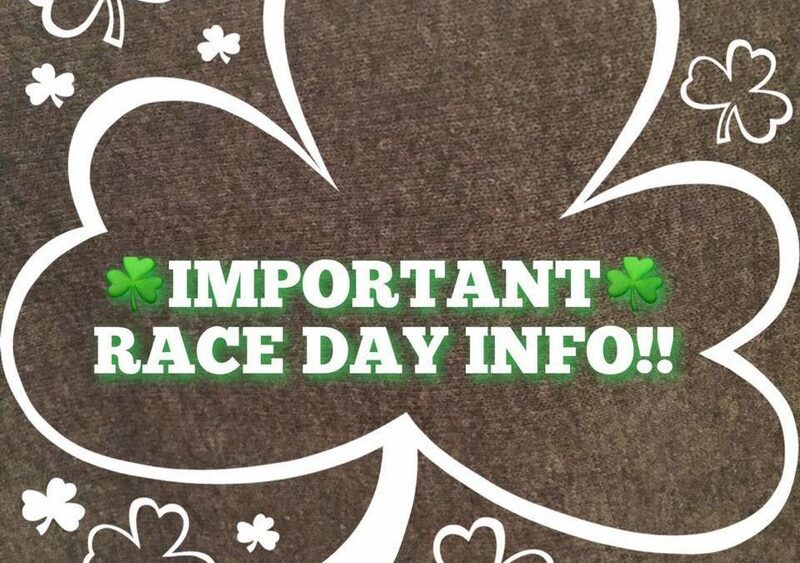 Keep in mind that anyone who was not able to pick up their race gear on Friday and people who are registering the day of the race will need to have access into The Village Hall. Please do not hang out in the registration room so that we can easily hand out what we need to and register everyone. Porto-potties will be on premises. There will be a water station by the Post Office (slightly after mile 1 and mile 2 on the return). The Rainbow Dash Fun Run will begin at 9:40am. Children will line up for the 1/4 mile race. The Village of Montgomery Police Department will be closing the roads during this time for the safety Of the children. There will be older students and adults running with the little ones around the loop. Parents are asked to wait at the finish line. Rainbow Dash shirts will be available or purchase for $15. Supply is limited. The 5K race will begin PROMPTLY at 10:00 am. Awards will be given out next to the finish at about 11:00am. We encourage people to visit some of the local vendors who have generously helped to sponsor this race and parade. The parade will follow at 1pm. Come out to support this year’s Grand Marshal, John J. O’Brien! Each year the parade gets bigger and better so please come and join us! On street Parking will be available. Parking will also be available at the municipal lots in the heart of the Village, such as the parking lot next to the Village Hall, the parking lot at The Montgomery Senior Center/Veterans Memorial Park (36 Bridge Street, Montgomery) as well as the Rowley Lumber lot (40 Railroad Ave, Montgomery) and at the Montgomery Montessori School lot.